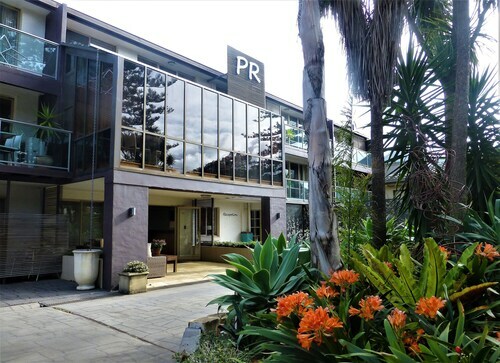 Located in the heart of Gerringong, this luxury hotel is 1.7 mi (2.8 km) from Crooked River Winery and 2.6 mi (4.1 km) from Gerroa Boat Fisherman's Golf Club. Seven Mile Beach and Kiama Blowhole are also within 6 mi (10 km). Gerringong Station is 27 minutes by foot. Situated by the ocean, this motel is 1.1 mi (1.7 km) from Crooked River Winery and 2.3 mi (3.7 km) from Seven Mile Beach. Gerroa Boat Fisherman's Golf Club is 1.7 mi (2.8 km) away. Gerringong Station is 13 minutes by foot. 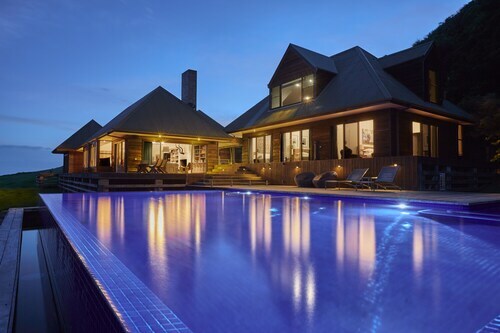 Situated in Gerringong, this vacation home is within 6 mi (10 km) of Crooked River Winery, Seven Mile Beach, and Gerroa Boat Fisherman's Golf Club. Little Blow Hole and Kiama Surf Beach are also within 6 mi (10 km). 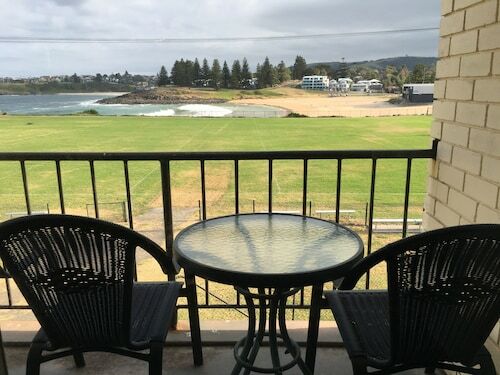 Situated near the beach, this hotel is within a 15-minute walk of Kiama Surf Beach and Kiama Blowhole. Pilots Cottage Museum and Kiama Leagues Club are also within 10 minutes. Kiama Station is only a 2-minute walk and Bombo Station is 27 minutes. If you love beach activities and amazing ocean views, Gerringong is the perfect destination. A town built on a sweeping green hillside, dotted with pastures and overlooking a vibrant surf beach, it’s only two hours south of Sydney in the NSW region of Kiama. Here you can visit wineries, explore the heritage-rich town centre, or play a game at one of the nearby golf courses. And if that’s not enough to make your holiday complete, you can check out the beaches and national parks at the nearby town of Gerroa. Sound good? Then book your Gerringong hotel from our range of deals below. Gerringong was first used by European settlers for cutting red cedar, until the land was cleared in the early 1800s and dairy farming became the main industry. These days, the population is about 3,500 and includes plenty of retirees from Sydney and Canberra. Walk the streets of Gerringong and you’ll come across many ocean views, as well as tall trees and the occasional pastel-coloured building for variety. Werri Beach has headlands on either side of its 1.5km stretch of sand, giving it a horseshoe shape from up on the hillside and decent waves from either direction. If you don’t surf, you can still explore the rugged rocks on the shore or have a safe, relaxed swim in Werri Beach Pool, a pool carved into the rock where sea water flows in and concrete walls protect you from waves and rips. Keen explorers can walk the Kiama Coast Walk, which starts at Minnamurra, winds along rivers, headlands and through Kiama town centre and eventually ends on Werri Beach. If you get tired on the track, there are some cool spots to stop for a swim or snorkel, such as Cathedral Rocks and Bombo Beach. Just a five minute drive away, Gerroa is a headland village where the Seven Mile Beach National Park is the main attraction. Seven Mile Beach extends all the way to Shoalhaven Heads and, due to its windy conditions, it’s great for windsurfing and kitesurfing. Nearby, there’s a lookout, picnic area, barbeque and walking tracks through the dune forest of the surrounding national park. Gerringong’s town centre is beautifully green, with tall trees, views of the surrounding hills and old-fashioned buildings. You can find supermarkets, pizza shops, surfwear and local favourites like the Gerringong Heritage Museum, which has models and photographs documenting the town’s history. Not only does Gerringong have its own golf course, but there are several others in nearby towns like Kiama and Shoalhaven Heads. The Gerringong course has 18 holes and even more seaside sights. If you love wine, visit one of the vineyards in town or venture further out to other wineries in nearby towns like Berry. You can get to Gerringong with a flight to Sydney and then catching a train to Kiama or hiring a car and driving along the Princes Highway. Book your Gerringong accommodation with us now and wake up in a stunning location right beside the sea. 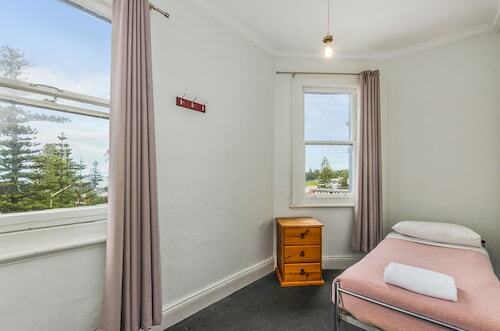 How Much is a Hotel Room in Gerringong? Hotels in Gerringong start at AU$60 per night. Prices and availability subject to change. Additional terms may apply. My stay was lovely, the room was great 👍,I can’t fault it , comfy bed , hot water for shower, I’ll stay again .